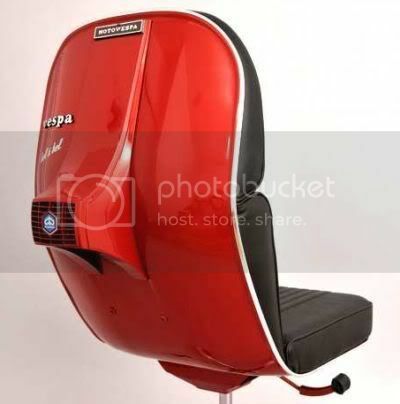 Cool Vespas Resurrected as Office Chairs. Image © Bel & Bel. Office furniture that’s been around the block doesn’t usually generate a lot of consumer demand. But what about office furniture that’s been recycled from classic scooters? Watch out for Spanish design house Bel & Bel’s new creations in your local cubicle farm: super-classy hand-made leather office chairs, made primarily from Italian Vespa scooters. The Vespa’s front shield creates a perfect silhouette for an office chair back rest – combined with a few key spare parts, these make office chairs that make an incredible visual impact. Also, given the variety of colors that old Vespas came in, you’ll probably find a Vespa chair that suits your office, no problem. In the old days, Vespa scooters were a symbol of carefree Continental lifestyles, immortalized in movies from the Sixties. But the Vespa’s air-cooled two-stroke engine is dirty and bad for the environment; the proliferation of cheap two-stroke cycles around the world accounts for much of the air pollution in developing countries. But Vespa is still tres cool for so many retro-maniacs. Sure, old Vespas kill the Earth a little for every mile they run, but that’s no reason to hate them completely, right? So Bel y Bel made the leap from Vespa scooters to office furniture – rejuvenating Vespa retro cool and rehabilitating its polluting former life at the same time. Recycling Becomes Remembering – Steel from Ground Zero Becomes Part of New Warship. Image courtesy of the US Navy; public domain. Sometimes recycling isn’t just about being kind to the earth – it’s about sanctifying recent history. 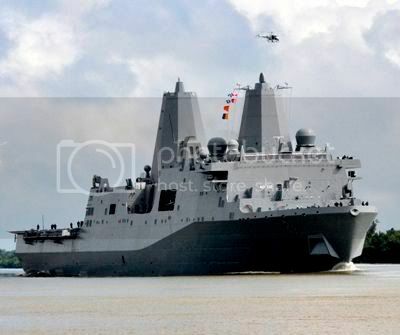 Case in point – the USS New York, a San Antonio-class amphibious transport. More than seven tons of steel in its bow stem comes from scrap recycled from the smoldering ruins of Ground Zero, the aftermath of the September 11 attacks.